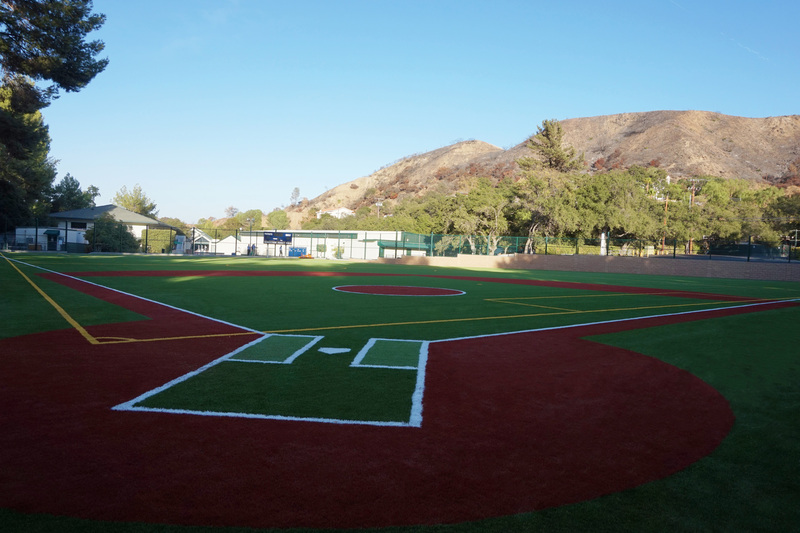 Following the success of our Triunfo YMCA Playfields Project, we just put the wraps on our latest Baseball Field Project at Viewpoint School in Calabasas CA. The private school contracted the job after seeing the success of the Triunfo YMCA project. 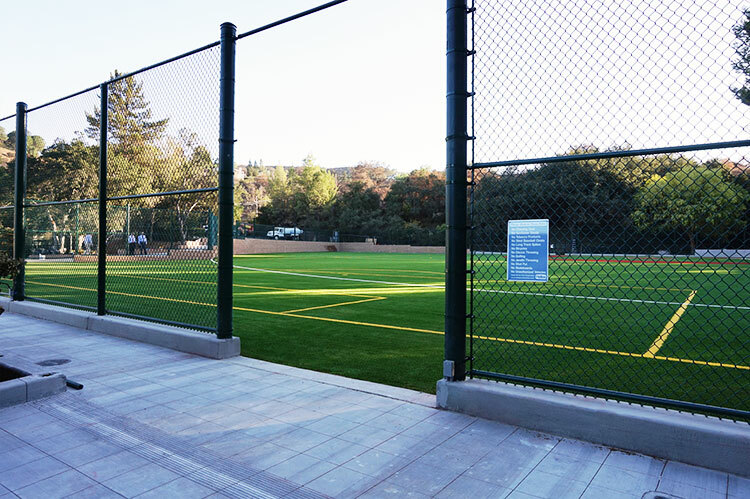 Naturally, CPF teamed up with Hellas Construction to execute the build. 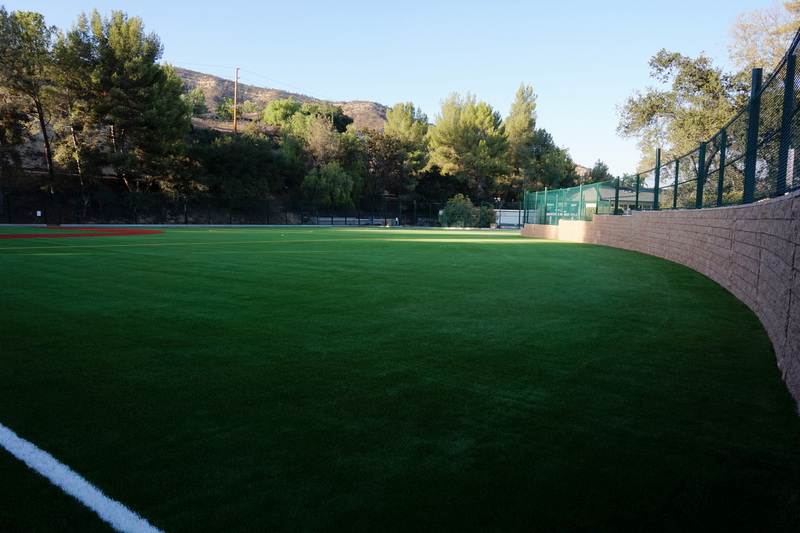 Hellas represents the best of the best in the world of state of the art custom sports facilities-- We would prefer to team up with no one else. 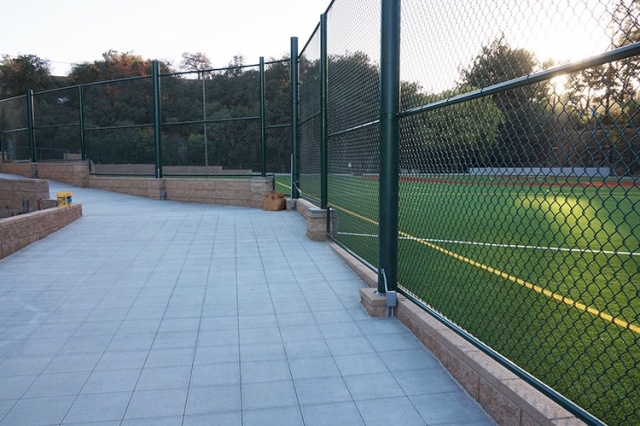 This project presented a small challenge in that the field is used for baseball as well as soccer. 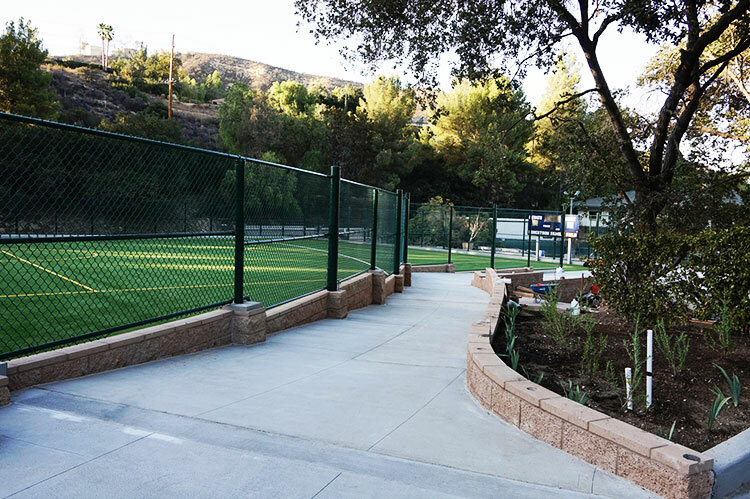 We wanted to make sure that this facility was nothing short of perfect for the players, and the spectators, of both baseball and soccer. The project called for a smooth concrete base topped with a green chain-link fence. The smooth concrete is a solid option due its durability and easy maintenance. 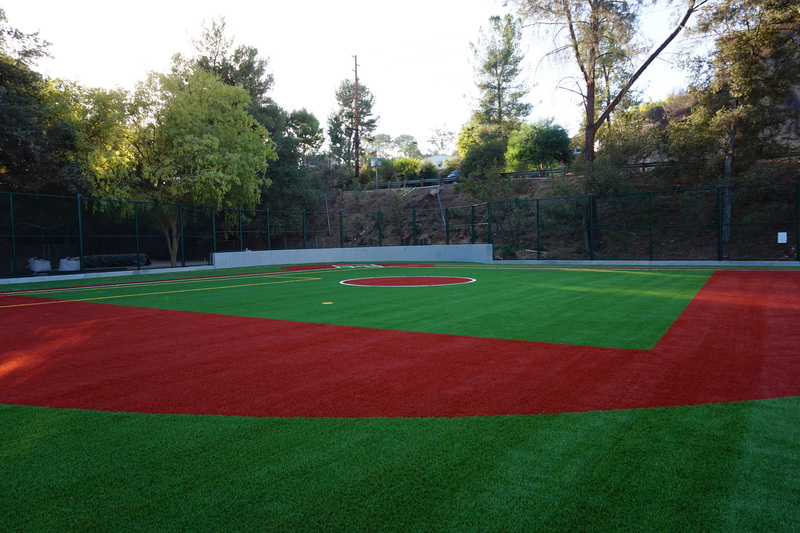 Get a feel for what it would be like to go up to bat on this sweet piece of field. 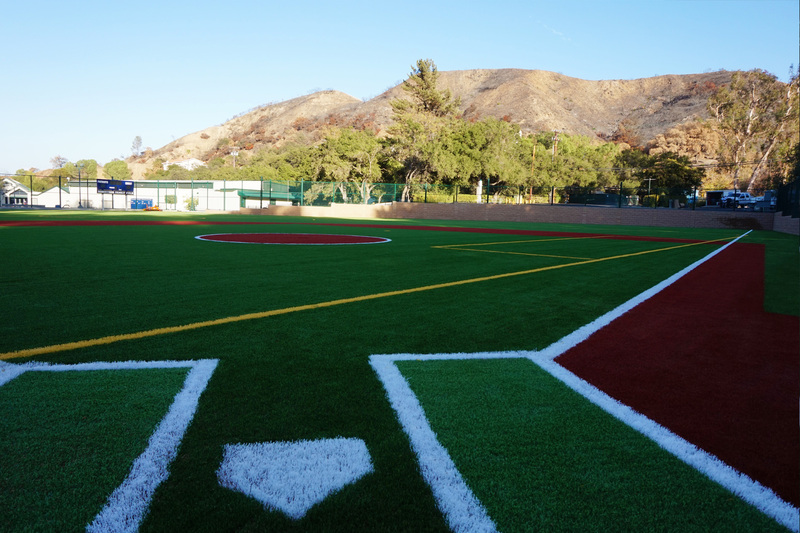 What was once a dry and bumpy field is now a perfectly crafted infield. 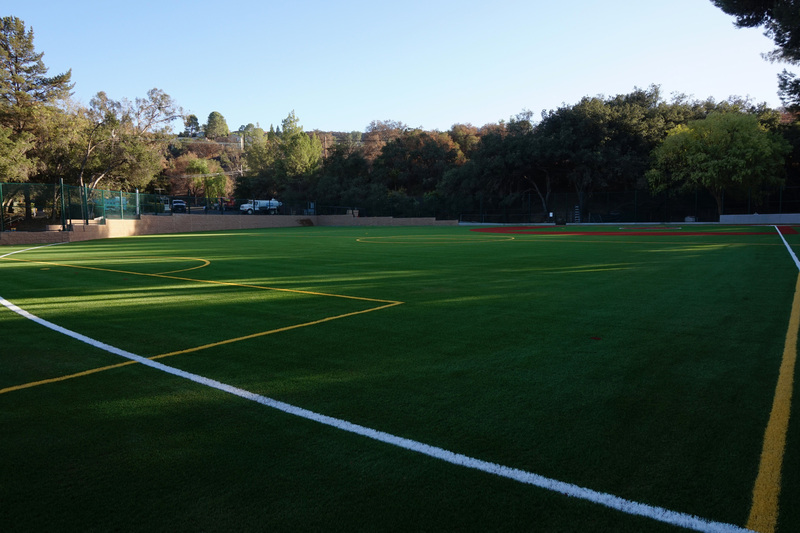 The team at Hellas made use of our fleet of heavy equipment to grade this land into the smooth surface you see today. 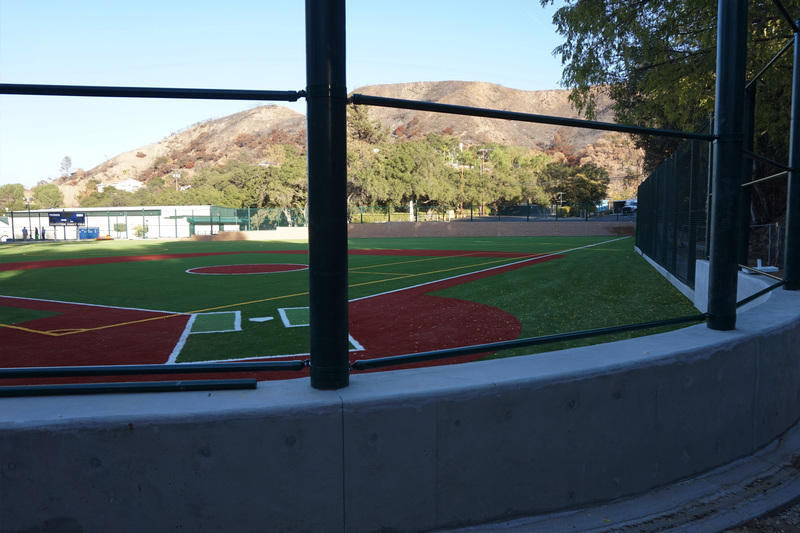 Here's a wider view of the infield from the 2nd base position. Check out this video to get a glimpse of what this space looked like before our team got done taking the heavy equipment to the field. See The Soccer Field in There? 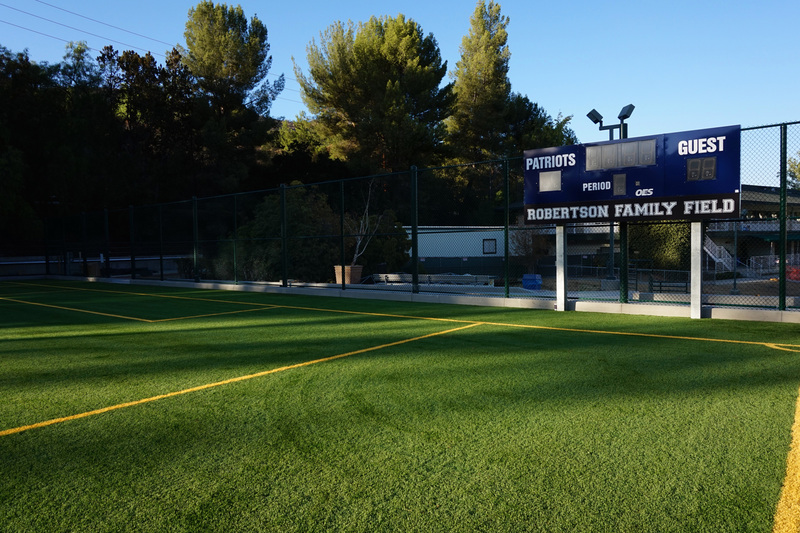 This field will be host to more than just "America's favorite pastime"
Big thanks to the Robertson Family for sponsoring this awesome athletic haven. 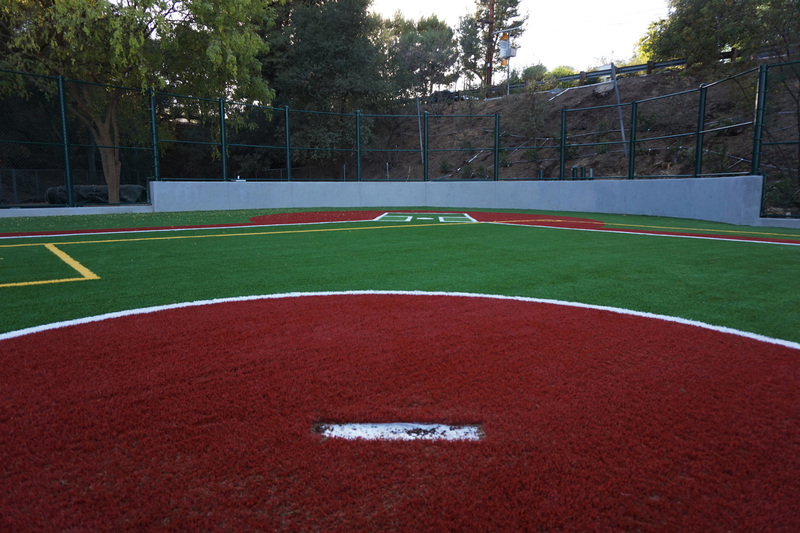 Thanks to them, the students of Viewpoint School get to play on this fresh, state of the art Baseball/Soccer field. The custom concrete walkway transitions nicely between both the smooth concrete and brick footers. 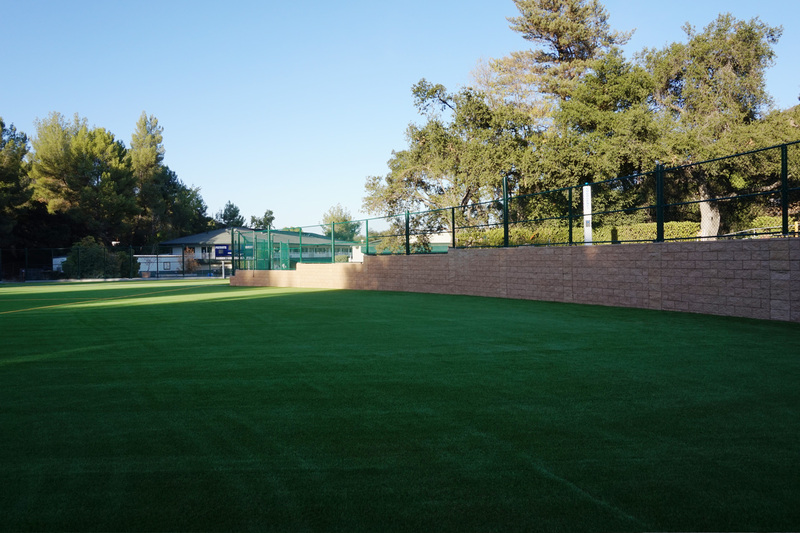 The rough brick with smooth top layer adds nice texture to the field. Contact us to schedule an estimate to discuss how we can accommodate your needs.